JOHNSON CITY, TN — The fastest growing small-dollar loan financial services company in Tennessee, and one of the leading companies nationwide within its industry, continued its expansion in the Tri-Cities market today with the opening of a second store in Johnson City. The opening marks the 88th location for the company. 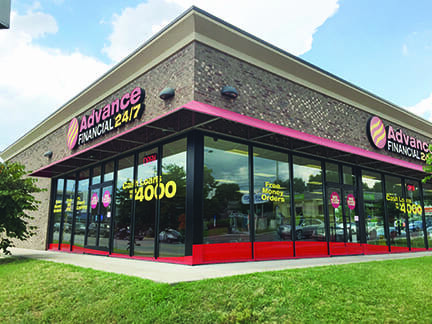 The new location of Advance Financial, at 929 W. Market Street, is now open for business and will remain open 24/7 thereafter. Advance Financial is one of the only companies in its industry that serves customers around the clock. Advance Financial offers a range of financial services including prepaid cards, electronic wire services to anywhere in the world, check cashing, free bill-payment services and free money orders. 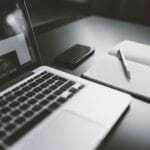 The company’s loan product is not just a small dollar loan, but a flexible line of credit – called a FLEX Loan – that offers customers the freedom of access to funds on their schedule with no late fees or early payoff penalties. Founded more than 20 years ago, Advance Financial is a family-owned company based in Nashville that has significantly expanded its footprint throughout Tennessee in recent years. Its first locations outside of Middle Tennessee were in and around Chattanooga and Knoxville. The company recently entered the West Tennessee market with a new location in Jackson. For more information about Advance Financial, visit www.af247.com.